So I had doodled a Princess Bubblegum over here. But if you aren't too familiar with these characters in general, I recommend doing a google or YouTube search for Adventure Time and see what comes up. I am slowly going to doodle the other characters from the show in my own style, and this was the second illustration I did of Lemongrab. 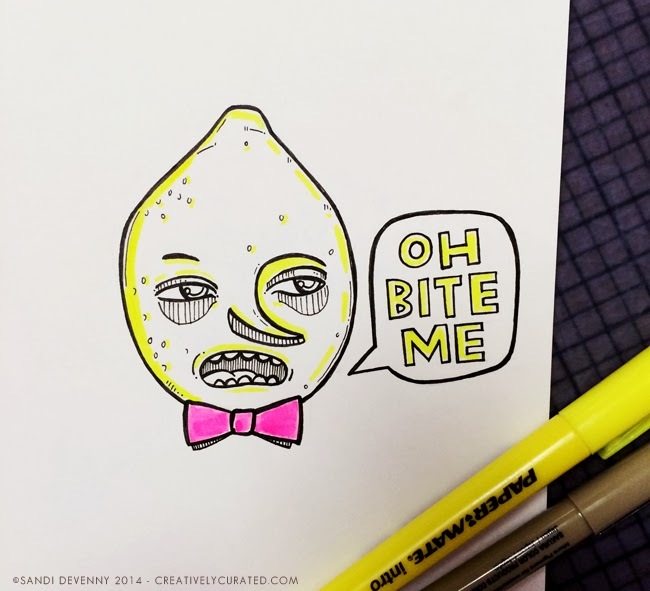 Though his popular phrase is "Unacceptable", I thought it would be sillier to play off the lemon pun some for his word bubble. That and I was giving this doodle away, so it seemed a bit more appropriate for the recipient. Enjoy!